I’m not sure how it happened but somewhere along the line, (during one of our late night campground chats) Issy and I decided it would be “cool” to stay at every single campground in the Auckland Regional Parks. The only caveat being that it had to have car or foot access – because, well, quite simply, we don’t have a boat. We also wouldn’t include the SCC campgrounds for obvious reasons (we don’t own a camper). There are two campgrounds (and a SCC area) in the Waharau Regional Park which is located on the eastern side of the Hunua Ranges. 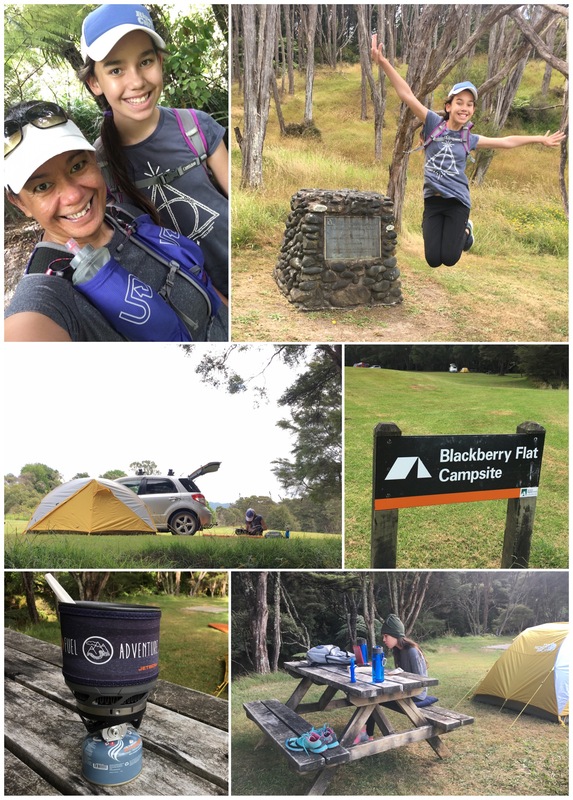 My first choice was the Waharau Tanui Campground (because it had showers) but as it that site is not available from December till mid-February each year we booked ourselves into the Blackberry Flat Campsite. Driving across the ford we found a large paddock with a natural bush boundary on one side and (private) farmland on the other. The creek we crossed to come into the campground runs the entire length of the paddock and the running water is a lovely background noise, the bush cover also provides plenty of shade although both of those things attract a TONNE of mosquitoes so this is not the place to come without any bug spray! Although I’ve read that this campground is very popular, it was relatively empty on our visit, this may be due to the vast majority of tracks here being closed due to the Kauri Dieback. I was unaware of this until we set off to explore the park. My preferred option for the day’s exploration, the 6km Upper Link loop was closed along with the 4km Lower Link and the 11km Waharau Ridge Trail. This only left the shorter 2.4km Waharau Bush Trail, which was much shorter for us as we joined from the campground (not the carpark), that being said, it was a lovely walk. For those of you who have walked along the Nature Trail at the Arataki Visitor Centre, this trail is a lot like that just perhaps not as well groomed. As we got back to the campground earlier than I originally anticipated, Issy passed the time drawing and I did handstands, because I can’t draw – there is a tonne of room here though so you could get a mean game of soccer/rugby/touch going if you had the inclination (a ball and some mates). Speaking of people, our next door neighbors bought along a hula hoop, so we busted out some moves with that too .. (I need practice, it’s been awhile) isn’t it crazy how I’ve never spoken to my actual next door neighbours but our camping neighbours usually let us play with all their toys and some have even fed us after knowing us an entire minute ..